Published on Monday, April 9, 2012. 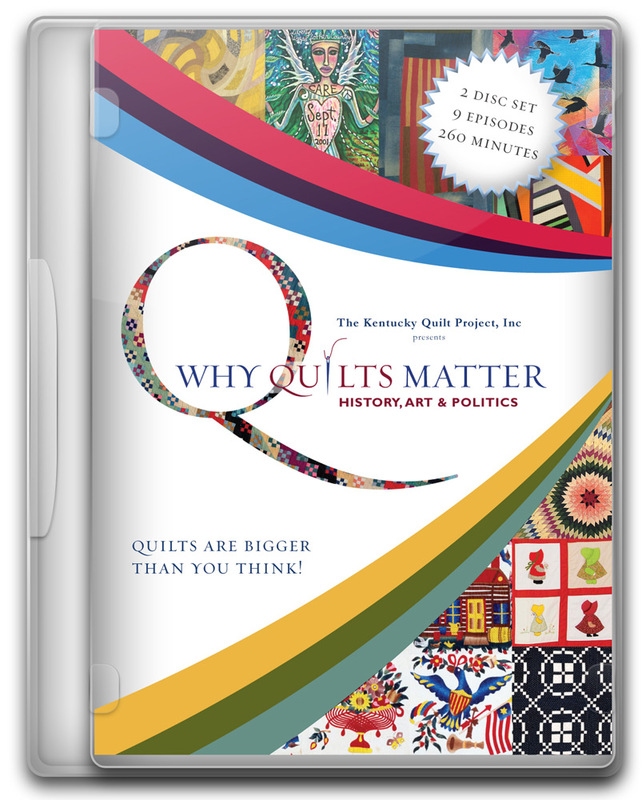 The recently released Why Quilts Matter: History, Art, & Politics is a nine-part documentary series that explores the role of quilts in our culture. 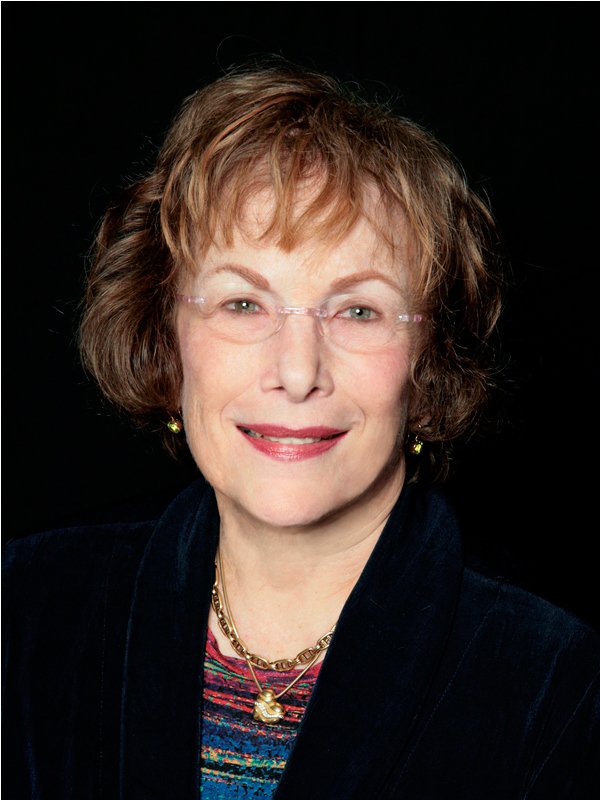 After watching a few episodes, I had a chance to talk with Shelly Zegart, host and executive producer of Why Quilts Matter. I asked her about the making of the series and her thoughts on quilting today. How did you get into quilts? My love affair with quilts began decades ago one night when I was captured for the first time by a group of antique quilts being shown. I had never seen so many quilts together before, and those images just danced in my head all night long. With my background in contemporary art, I knew from moment one that quilts were so much more than bed coverings - they were keepers of history, artistic palates, political statements. Moreover I saw them as great womens’ art totally undervalued in the marketplace. While I've never quilted myself, I've spent the last thirty years focused on all aspects of quilts - learning, lecturing, writing, curating, and creating national organizations like the Alliance for American Quilts and The Kentucky Quilt Project. What does the Kentucky Quilt Project do? The Kentucky Quilt Project, originally formed in 1981, was the first state-run project to survey quilts. I was astounded that we had all these wonderful quilts but no formal record keeping or story telling. I'm proud to say that 48 states have used the Kentucky Quilt Project as a model for their own documentation projects. More than 200,000 quilts have been documented, many exhibitions have been held here and abroad, and many books written. As you can imagine, today’s technology has made this record keeping, searching, and sharing so much easier. Visit quiltindex.org to see how far we have come. That was another project I was instrumental in initiating and bringing to reality. Sales from Why Quilts Matter benefit the nonprofit Kentucky Quilt Project for future quilt-related endeavors. Tell me a little bit about making the series. How long did it take to film? Was it easy finding others to talk with? I created the series because I wanted others, especially the younger generation, to recognize how central quilts were to our society. It was my first foray into film making so everything was new to me, from the legal aspects, permissions on all the photos used within the series, to formatting it in such a way that it would work for stations like PBS. I wanted a good mix of people for the series from artists to academics to prominent figures in the quilt world. It took some effort to work with everyone's schedule, but in the end we're really proud of the diverse perspectives we captured. The series took almost three years to complete, and we're thrilled to see it finally come to life. What has the response been so far? Do you envision doing more episodes in the future? The response has been overwhelming from the quilt community, and we're gaining a lot of attention from academia and librarians as well. One of our goals was to make sure the series was not only seen by quilters, but by non-quilters and by a younger generation. Our focus is getting the series out to as many different groups as we can, whether that be the craft world, art world, universities, or libraries. We think there are so many angles and avenues to explore with this series. There's truly something for everyone, whether you're a history buff, an art fan, or interested in politics or women's rights. Can you talk a little bit about the historical connection between quilts and women's rights? Quilts and crafts are similar in the sense that they both tend to be viewed as utilitarian first and art second, but quilts have another challenge because they truly come from a domestic place. Quilts were very much the way that women could express their views at the same time they were making bedcovers for their families. On the other hand, men who did woodworking, bowl turning, sculpting, metal work, and so on, were recognized early on as having legitimate occupations. It took the art world a long time to truly appreciate quilts and give them the respect they deserve. It is still a work in progress. You're starting to see more quilts in major art museums. Quilts from the women of Gee's Bend are an excellent example of this (Episode 5 Gee’s Bend: “The Most Famous Quilts in America?”). As women's rights progressed so did the subjects on the quilts. This is shown in the discussion of the controversial Death of Sunbonnet Sue quilt from the 70's (Episode 7 Empowering Women One Quilt at a Time). Today you’ll find more men quilting, too. There are also a growing number of quilts being made to advocate for some of the country's most pressing issues, like 9/11 or the AIDS quilt. Where do you see quilting going in the future? Is there a next generation of quilters? Are there any artists we should pay attention to? Quilt making and all that surrounds it is a thriving a thriving business. There are nearly 21 million active quilters in the U.S., and the quilt industry provides a $4 billion economic impact annually. I believe that with new technology, people are becoming even more creative in their designs and the materials they use. 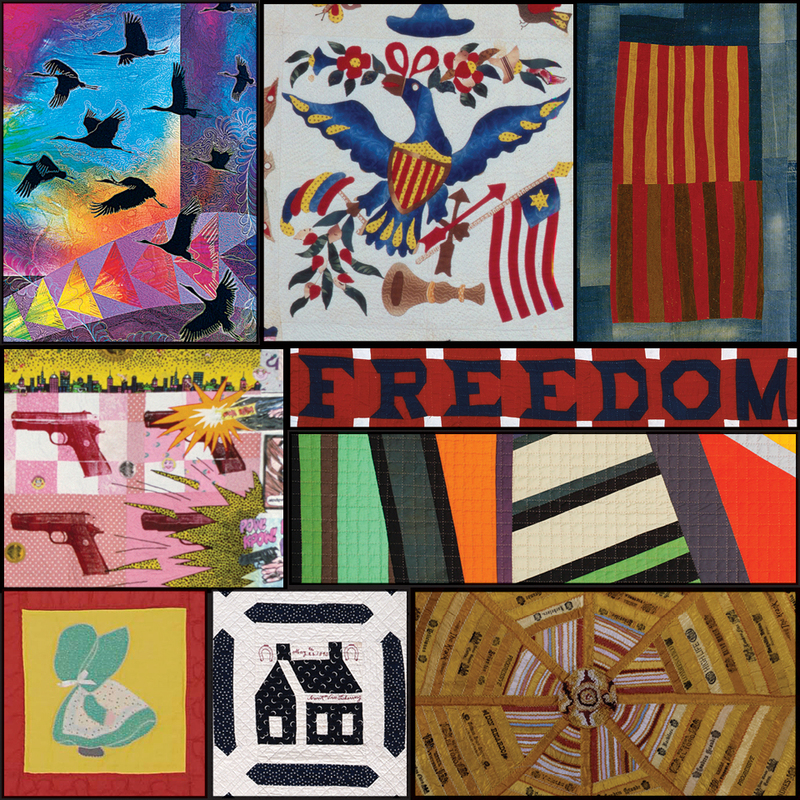 There seems to be more freedom of expression within the quilt world than ever before (Episode 8: "20,000,000 and Counting"). There's a whole generation of young, educated people who are returning to craftsmanship - from woodworking to knitting and crocheting. I believe quilting will be a growing part of that movement, but the younger generation does need to learn and be exposed to the importance of quilts at the center of American culture. The series is geared to provide that kind of information. In terms of new artists to pay attention to, I just returned from Tokyo where I curated an exhibit at the Tokyo Great International Quilt Festival - 300,000 attended in eight days making it the largest quilt festival anywhere in the world. The quilters in Tokyo have a growing interest in adding more originality to their work that was missing before. I would encourage people to not only look at U.S. artists but quilters in Asia and all over the world. There are many artists in America using the quilt as their palette, having come from more traditional art backgrounds as well as those who deem themselves quilt artists. This makes for a very interesting conversation (Episode 4: "What is Art?"). The series has had great reviews so far in Booklist, Video Librarian, Library Journal, and EMRO, all of which review media materials for academic and library use. We hope that these reviews will spark interest to use the series in their communities. Of course, it has taken the quilt world by storm. Quiltmakers are saying that the series makes them proud to be quiltmakers. They generally have to defend themselves when people ask what they do, and the series is giving them ammunition.